This comprehensive review will answer the question “what is homestay.com? and more. The online vacation rental industry is becoming so huge, with several companies competing to take center stage. One of the most notable of these companies is HomeAway, a platform whereby property owners can put their properties up for rental, and prospective travelers in need of accommodation can book any of these properties in their destination that best suits their purpose. 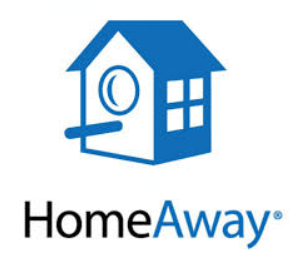 Founded in Austin, Texas, in 2004, HomeAway Inc. acquired some vacation rental websites, which it combined to create and launch HomeAway.com in 2006. The company has grown in leaps and bounds since then, and continues to acquire other US- and internationally-based travel websites. This has made HomeAway.com one of the largest collections of vacation rental properties worldwide, boasting well over a million listings spread across more than 190 nations around the world, and recording over 10 million visits per month. A major advantage that HomeAway is capitalizing on is the myriad of companies under its canopy. Merging so many already established companies together has a better structured overall company framework and policies, in order to address every aspect of vacation rentals from the point of prospective guests’ enquiries until subsequent guests’ feedback. HomeAway also tends to have more resorts and lavish home rentals than most other vacation rental sites. Family vacations in and around the US (especially the East and Gulf Coasts) have been very dominant on this site over the years. The listings on HomeAway have similar features to what you would find on most other vacation rental websites, such as a property headline, description, a maximum of 24 pictures to display the property and space, reviews from previous guests, a map to show the location, notable landmarks and attractions, and a calendar for managing the availability of the property, and many other features. They are all entire properties – no single rooms or shared spaces are listed on HomeAway. Individual property owners and property management companies create listings on HomeAway. There are several subscription options available to property owners looking to get their properties listed on HomeAway. Annual subscriptions, which are generally thought to be the best deal for those owners who rent out their properties all through the year, start $349 per property. You have to take how competitive the location of your property is into serious consideration before you choose any of these annual subscription levels. If your area has a lot of listings, then it might be best for you to increase your chances by choosing a higher level so as to make sure that your property is as visible as possible. There are also “Bulk Discounts” available on HomeAway for those that wish to list a lot of properties. You can get better pricing on your annual plan by negotiating with an account manager. 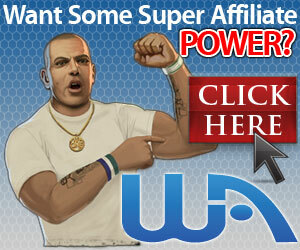 There are also discounts and coupon codes available for those with just one or two properties. This option allows you to list your property for free, and then you pay at least 10% commission to HomeAway whenever your property is booked. The limitation of this package is that your property will be listed within the Classic set of search results, and so you have less visibility than with the higher annual plans. Nevertheless, you can always change to the annual subscription whenever you feel like it would be better for you. Listings are ranked on HomeAway based on a number of factors, some of which include response time, photo quality, reviews, maps, calendar update level, quotable rates, as well as online booking/payment processing. Scoring well in all of these categories will make your property listing more visible, and you get more hits in the search results. Naturally, the more visible your listing is, the more likely your property is to get booked. Thus, it is very essential that you manage your property’s listing proactively. The inventory on HomeAway is quite remarkable, and this grants the traveler a wide range of choices based on property style, amenities and location. Another praiseworthy feature of HomeAway is that travelers are not required to pay any booking fee. A lot of travelers also feel so much more secure making their vacation rental reservations on HomeAway owing to the fact that the property owners actually have to pay a fee for their properties to be listed. This is a sort of guarantee that property owners will be more compelled to manage their properties with professionalism, which gives potential guests that much needed assurance and peace of mind. HomeAway offers high visibility and traffic for properties, which is a very encouraging feature to hosts. Regardless of the growing competition with so many other travel websites available, a lot of property owners still consider HomeAway to be the best site to get their properties booked. In a 2014 press release, HomeAway stated that property owners on their site average nine hours per week managing and marketing their rentals, at an average income of $1,520 per week. This puts their income at $84 per hour, which is a wonderful buffer to most people’s budgets. Note, however, that the amount you stand to gain form HomeAway as a property owner depends massively on the level of effort and investment that you are willing to sink into it. Of course, there will be negative reviews. Some of these include inadequacy and lack of detail of the property descriptions, poor customer service, and so on. But the major complaints you will find would concern the property owners and not the site itself. And so, it is necessary that property owners try as much as possible to display honesty and transparency throughout the entire communication and booking process to avoid any issues. There are also some negative reviews about the review system itself. Some travelers complain that some of their negative reviews are not posted by HomeAway under the pretext of non-compliance to their review guidelines. This precautionary measure tends to favor property owners from extreme reviews, but it also works the other way too. Overall, the negative reviews you’ll come across are obviously not enough to deter most people, as their user base continues to grow by the year. The high fees charged for listing properties on HomeAway is one major deterrent for owners, especially pertaining the annual subscription. Although the Silver, Gold and Platinum plans do allow your property a place in the “Featured Area” section, if yours is a popular location with many other owners on these plans, your property will be rotated just the same as the others. Paying such considerably high prices without getting spectacular results can be frustrating for property owners. The way forward, therefore will be to keep your calendar as up-to-date as possible and respond to all inquiries on time, so as to optimize your visibility. Travelers are looking for property owners that are serious and businesslike, and so your timely and professional response is of the utmost importance. The doubtful quality of customer service on HomeAway is another area of concern for property owners. Listing, technical and refund issues are not very easy to deal with via HomeAway’s customer care. A good number of property owners complain about never having gotten any reasonable response other than the clichéd “IT is currently working on it.” Nonetheless, this isn’t a complaint that is unique to just HomeAway. It seems to be typical of most travel websites. Property owners do have their own fair share of complaints about their guests. Guests showing up with a larger party than was arranged for, partying wildly, damaging property and causing problems in the neighborhood are just a few of the horrors that property owners dread. But then, again, this is a problem that is typical for most travel websites. The competition in the vacation rental industry has grown greatly in recent years. HomeAway has withstood the test of time, but the company is also under the same industry-wide pressure to adapt, innovate, keep up with the trend and boost profits at the same time. Yet, HomeAway is still one of the leading vacation rental services in the world, satisfying both travelers and property owners around the world.